Dr. Howard’s specialties include: Dermatology and Cosmetic Surgery. On the Cosmetic Dermatology side, Dr. Howard has trained with some of the countries luminary Dermatology Physician Injectors and LaserSpecialists including Dr. Shino Bay Aguilera, Dr. Eduardo Weiss, Dr. Jill Waibel and Dr. Marty Zaiac and he has already published 6 peer reviewed Dermatology Publications. Dr. Howard’s philosophy and mission is to provide his patients with individualized treatments to help them achievea more youthful and natural appearance. 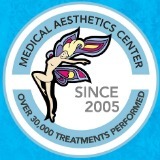 He strives to provide you with the highest quality care through the latest advances in cosmetic dermatology. With Dr. Howard, rest assured that you will remain Forever Young. Howayda Khoury has been in the Medical Aesthetics field since 2007. She graduated from the Florida College of Natural Health with degrees as a licensed Esthetician, Electrologist, and Laser Hair Technician. With her passion and curiosity for skin physiology and anti-aging corrective treatments, Howayda continuously improved her working knowledge of Medical Aesthetics to help her clients better address their skincare needs and concerns. Howayda is constantly training & educating at the best institutes & centers nationwide to keep abreast of the most advanced patient treatments, techniques & emerging skin care/anti-aging products. “The tools we use today are light years ahead of the tools we used just 10 years ago. I know many Estheticians who still use those old tools but my patients expect more and so do I,” she says.